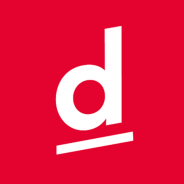 We are diesdas.digital, a nimble and curious team of designers, developers and strategists located in Berlin. You can hire us for strategy, branding and product development work. Get a taste of who we are and how we roll in this blog. We are excited to announce that Robert Haase has become an equal partner at diesdas.digital, building a dedicated team for strategy. This time we’re turning to ancient Greece. We’re moving to a new office—time for the inevitable farewell party! A lot has happened and we’ve been fairly quiet throughout this year … about time we catch up! We continue our journey into humanism. Save the date: diesdas.unplugged on Nov. 9th, 7pm! The summer break is finally over, let’s read and discuss again. Introduce us to future employees, get 500€ when a contract is signed. The adventures of MDash. On April 10th. Our second year in business and so much has happened. Let’s take a trip down memory lane, shall we? Der Zukunftsfonds sorgt dafür, dass sich Sparen wieder lohnt! Der Zukunftsfonds und diesdas.digital geben Zusammenarbeit bekannt — gemeinsam wollen wir Sparen einfach, sicher und kostengünstig machen. The best things come in threes. For the third time you’re all invited for drinks and chats! We switched our entire development setup to nanobox.io and we’re not looking back. Here’s why. First up: a true sci-fi masterpiece, written almost 50 years ago, still as relevant as ever. We’re back! Party on the 24th! Europe’s biggest design conference took place in Berlin last weekend, featuring the topic “wanderlust”. I’ve collected some impressions. Join us on June 8th for diesdas.unplugged! Thoughts about an undervalued job. Weeks 66–70: What we’ve been up to. From window management to clipboard history: a collection of little helpers we can’t imagine working without.